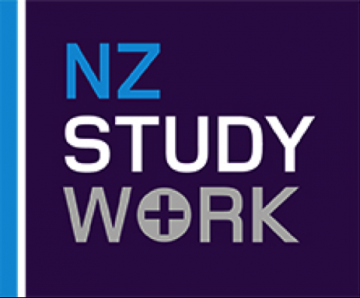 If you are going to study in New Zealand for 12 weeks or less you do not need to get a student visa. You can apply for a visitor's visa instead. If you are going to study in New Zealand for more than 12 weeks you will need to apply for a student visa. Full details of immigration requirements, advice on rights to employment in New Zealand while studying and reporting requirements are available from Immigration New Zealand, and you can also apply for your NZ student visa online through the Immigration New Zealand website. The main purpose of a student visa is to allow international students to study full time in New Zealand. However, in some cases students from overseas can have the conditions of their student visa varied to allow them a limited opportunity to work while studying. Before securing employment, it is important to check that you are allowed to work in New Zealand under the conditions of your visa. More information can be found on the Immigration New Zealand website. As an international student in New Zealand you may be able to work up to 20 hours a week. But working in another country can be very different from working in your country. For those able to work, the following websites can be very helpful in finding employment while in New Zealand. International students, including groups of students, must have appropriate and current medical and travel insurance while in New Zealand. IPU New Zealand Tertiary Institute will automatically arrange insurance coverage for all students with Orbit Protect. Orbit Protect Insurance Form (0.23MB). Students can choose their own insurance company, however it must comply with the minimum standards required by the Code of Practice for the Pastoral Care of International Students. If you arrange your own insurance cover, you must supply your Certificate of Insurance and Schedule of cover, in English, to the Information and Enrolment Centre. Once the insurance policy has been evaluated and confirmed as meeting the minimum standards required by the Code of Practice, the policy taken out by IPU New Zealand Tertiary Institute on behalf of the student will be cancelled with the fees refunded to the student. The Accident Compensation Corporation provides accident insurance for all New Zealand citizens, residents and temporary visitors to New Zealand but you may still be liable for all other medical and related costs. Further information can be found on the ACC website.